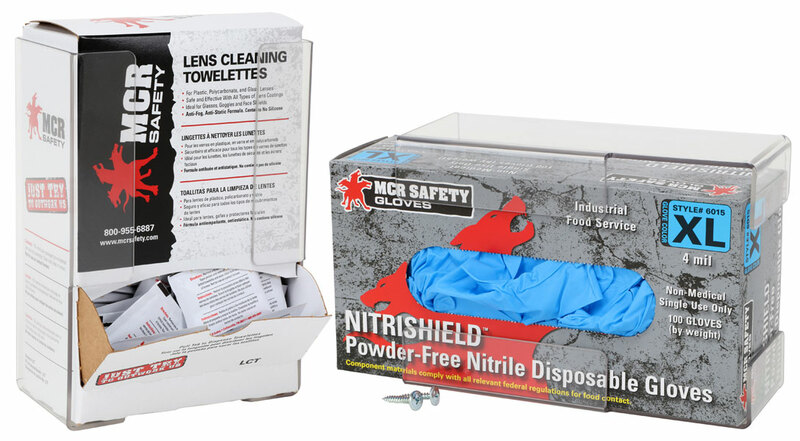 Keep your disposable gloves OR your LCT lens cleaning towelettes secure and accessible with the 100GT dispenser. Made of rugged clear PETG material, this dispenser can be mounted on any wall so that workers can easily locate disposable gloves and lens cleaner. Comes with 2 screws and pre-drilled holes in the back of the dispenser.